Lovelyz Is “Lost N Found” In Beautiful Comeback MV! Red Velvet is getting ready for their RBB (Really Bad Boy) Comeback! SHINEE’S ONEW IS READY TO RELEASE HIS FIRST SOLO ALBUM! The term “Hanbok” (or “joseonot “) is used for all traditional attire. The elegant attire embraces the natural harmony of form, structure and color representative of a uniquely Korean aesthetic. Like all clothing, hanbok also changed over the years with fluctuating fashion trends. There were some slight changes occurring over time in terms of material, preferred colors, and the length of the skirt or jacket. But the basic format has more or less remained the same as of the late Joseon Dynasty (early 20th century). Although simple in composition it bears great meaning. 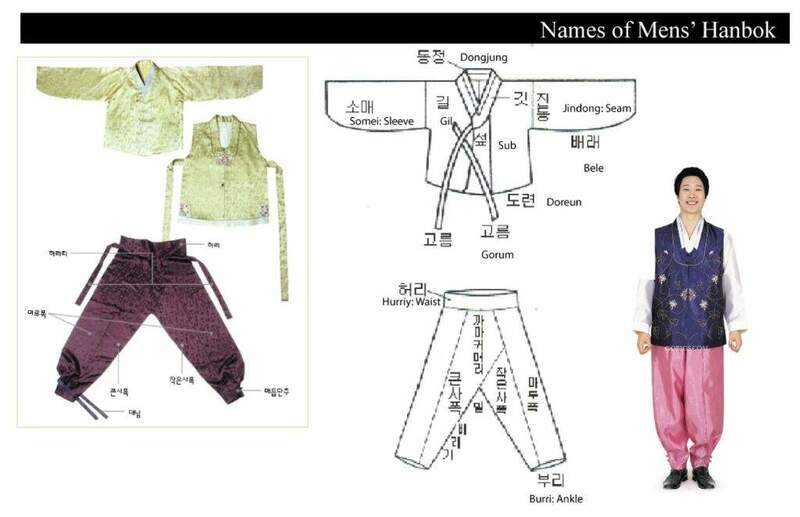 Men’s hanbok consists of jeogori and baji, and in essence did not change much. The form and design of jeogori and baji hardly changed. We also need to include the elements that complete the costume: such as hairstyles, headgear, accessories, overcoats and vests, coat strings, undergarments, white socks that were worn by everyone regardless of social status and gender, and shoes. 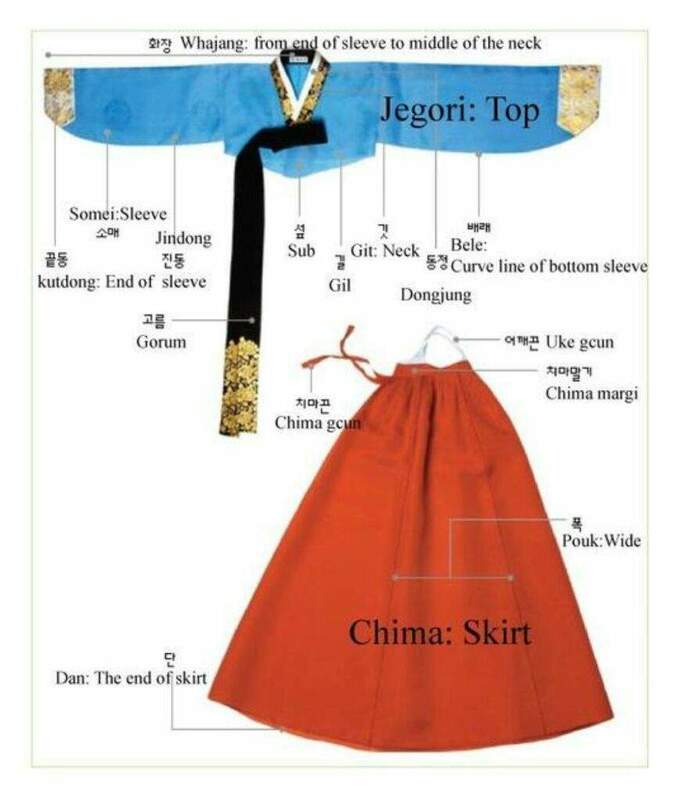 Hanbok can be classified into ceremonial and everyday dress, each of which can be further classified by gender, age and season. In order to truly reveal the subtlety of traditional Korean aesthetics, the hanbok is usually created through combinations of straight and slightly curved lines and pleasing color palette. Referring to the simple structural beauty and rhythmic flow that complement the body’s movements. The hanbok radiates a natural physical beauty in its attractive silhouette and lines, which allow for unrestrained movement of the body. It is preferred the use of flat fabric that only achieves dimensionality when it is worn on the body. When placed on the human frame, the hanbok takes on a life of its own—one that is natural, elegant and flowing. As the garment features straight and curved lines, giving it an attractive flow uniquely Korean. The colors used are decided according to the “five colors theory” (“obangsaek” in Korean)- with direct reference to the theory of yin and yang and the five elements. The curved line, rhythm, and irregular proportions when worn, gives a natural angle devoid of artificiality that creates a free-flowing effect and brings out the texture of the natural, hand-woven fabric. Some aspects of the hanbok design are left intentionally empty creating a simple yet pleasing effect. The full shape of the garment emphasizes the wearer’s authority and dignity. Certain designs represented the social ranking of the wearer. While the traditional hanbok was beautiful in its own right, the design has changed over the generations. Many designers have altered this garment for everyday wear with traditional elements but having a distinct modern feel. One thing remains unchanged as we still have the graceful shape distinctively Korean and vibrant colors that we enjoy so much! Kimchi, traditional and iconic Korean food. Copyright © 2018 My Korean Soul.